As Saturn grows closer through the eyes of the Cassini spacecraft, which is hurtling toward a rendezvous with the ringed world on June 30 (July 1, Universal Time), both Cassini and the Earth-orbiting Hubble Space Telescope snapped spectacular pictures of the planet and its magnificent rings. Cassini is approaching Saturn at an oblique angle to the Sun and from below the ecliptic plane. 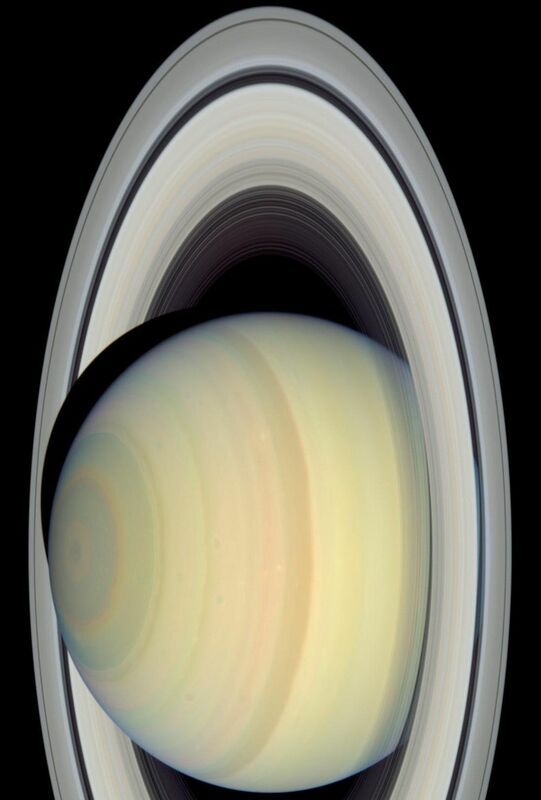 Cassini has a very diferent view of Saturn than Hubble's Earth-centered view. For the first time, astronomers can compare views of equal-sharpness of Saturn from two very different perspectives.